Acknowledgments We would like to thank the Smith Richardson Foundation for its generous funding of this project. We express our appreciation to professors Harley Balzer and Judy Twigg, who have provided insightful comments and improvements in reading the draft of this paper. We would also like to thank Eurasia Center Program Assistant Marianna Portnyagina, whose diligent work on the questionnaire and the report made a large contribution to the projectâ&#x20AC;&#x2122;s success. We are also thankful to Julia Heller, Olga Zeveleva, Alexei Kozlov, Svetlana Stephenson, Howard Davis, Vlad Burlutsky, Iliya Fridman, Kristin Belkin, Maxim Dbar, Guzel Gizatullina, Alexandra Lozinskaya, and Nikita Tumanov for their assistance during the various stages of this project. ¡¡ Western governments and wider communities should aim to better understand the non-systemic opposition in Russia that is increasingly supported by the new Russian émigrés. ¡¡ A more detailed mapping of the exodus will help fight the Kremlin’s diaspora-related manipulations. Further study will also facilitate engaging the Russian émigrés in the protection of democracy and stability including building a better post-Putin Russia. continue in Russia, talented people will continue to leave. It also undermines the notion peddled by the Kremlin that Russia represents a distinct civilization with its own values, one that favors communal advantage over individual liberty. But in the end, this study of the new Russian emigration is one of hope. It illustrates that the latest wave of Russian émigrés can ultimately serve as a bridge between the West and a Russia of the future, one that is not destined to be authoritarian. is substantial anecdotal evidence that this emigration is disproportionately composed of more educated and entrepreneurial Russians. Unlike the 1990s wave, this Exodus has not been caused largely by economic frustration. And in contrast to earlier waves, it takes place at a time of open borders and continuing strong bonds with the home country. This study looks at the distinctive driving factors of this new wave of emigration, the attitude of the émigrés toward Russia and their new lives, their views of Russian and Western politics, and their willingness to retain ties with or repatriate to Russia. Unlike the 1990s wave, this Exodus has not been caused largely by economic frustration. And in contrast to earlier waves, it takes place at a time of open borders and continuing strong bonds with the home country. So what are the specifics of this Exodus? How does it benefit the Western democracies that are its main destinations? Are its consequences for Russia and the world more profound than those of the waves that immediately preceded it? See an overview of the history of emigration in Chapter 2. These waves involve approximately 2 million people. This is an approximation used by various sources as the official statistics which, as it is discussed below, does not provide verifiable data. See the OECD data for 2000-2016. Unfortunately, there is no national or international database that would expose comprehensive data on Russian emigration, but at least the OECD reports detect the mentioned dynamics. “OECD Statistics,” Organisation for Economic Co-operation and Development, https://stats.oecd.org/. would pursue more liberal policies. These hopes were not entirely misplaced, as Medvedev pursued a reset with the incoming Obama administration and spoke about the importance of the rule of law domestically. But they began to fade as the situation came to a head during the 2011-2012 political season, when Medvedev announced that he would step aside and allow Putin to run for president in 2012 (so called Putin-Medvedev “castling”5). Putin’s candidacy and the subsequent fraudulent parliamentary and presidential elections sparked popular protests, followed by new political repressions. Economic growth rates in its aftermath stagnated, despite the fact that the price of oil generally remained high. As a result, Putin’s popular support within the country started to decrease in 2012 and 2013, while Russia’s political and economic ties with CIS countries showed signs of decline. To keep its political grip both internally and regionally, the Kremlin started preparations for more radical steps in accordance with the old frozen-conflicts strategy. This time, Putin provoked the crisis in Ukraine by insisting in late 2013 that Kyiv walk away from negotiating a free trade agreement with the EU. When Ukrainian President Viktor Yanukovych did so, demonstrations involving tens of thousands began. An effort to repress those protests brought hundreds of thousands into the streets. When the subsequent cycle of demonstrations and repression led to the Revolution of Dignity of February 2014, which prompted Yanukovych to flee Ukraine for Russia, Putin responded by seizing Crimea forcibly, “annexing” it, and starting a hybrid war in Donbas. This in turn prompted Western sanctions, increased NATO deployments to the east, and the tensest East-West relations since the height of the Cold War. For internal Russian audiences, the “return of Crimea” and “standing up to the West” were claimed by Putin as a political victory, which led to his popular approval spiking even higher than before 2012, allegedly to 86 percent.6 At the same time, domestic problems worsened as Western sanctions were accompanied by a sharp fall in hydrocarbon prices in late 2014. Russian GNP fell by over 3 percent in 2015 and living standards by nearly 10 percent.7 Recovery since then has been slow, even as oil prices rose to over $70 per barrel. The agreement to exchange the president and prime minister seats to enable Putin to return to full power in 2012. Reputable sociologists do not believe in data accuracy in a distorted propaganda environment. The true post-Crimea approval rate for Putin should be lower but is still considered high. Lev Gudkov and Natalia Demina, «Независимой социологии в России нет,» Троицкий вариант - Наука, April 24, 2018, https://trv-science.ru/2018/04/24/gudkov-demina-sociology/. The average disposable income of Russians in 2018 became comparable to the level of 2008–09. Since the seizure of Crimea, Putin’s policy toward the West has become even more provocative, including an intervention in Syria, active meddling in elections in the United States in 2016 and in France and Germany in 2017, and the poisoning in the United Kingdom of former Russian spy Sergei Skripal. The renewed confrontation with the West has been effectively used by Kremlin propaganda to help maintain control of domestic affairs. Since the March 2018 presidential elections, the Russian state has shown new symptoms of a deepening management crisis: It has increased taxes and even the retirement age, thus disavowing the social contract. After Putin’s reelection, fearing further loss of control, the Kremlin started a new campaign against freedom of expression on the Internet and in popular culture.10 As a result, even the data coming from Kremlin-controlled pollsters reflects growing pessimism about Russia’s future, as well as increased interest in emigration. The evolution of Kremlin policy since Crimea has not been a plus for the Kremlin’s social contract with the Russian people. Putin’s first two terms in office guaranteed the people a rising standard of living and served as the source of his popularity. With the “return” of Crimea, he was offering the assertion of Russia’s great power status as a substitute. Along the way, this contract has diminished the concept of the people’s role as citizens; in other words, “You don’t interfere with politics and we (the state) don’t interfere with you.” This approach has required waging anti-Western propaganda, greater conformity in Russian society, and less freedom for alternate points of view. Putin’s “social contract” has diminished the concept of the people’s role as citizens. This approach has required waging anti-Western propaganda, greater conformity in Russian society, and less freedom for alternate points of view. Strong connection to Russian affairs? The émigrés numbers are based on estimated ranges drawn from the public discourse backed by numerous, mostly non-academic sources. A comprehensive academic study of the historical waves and their numbers is largely absent in the scholarship. There are a few useful sources though that provide a comparative glimpse at the most waves’ numbers: e.g. Pavel Polyan, “Emigration: Who and When Left Russia in the 20th Century” in Russia and Its Regions in the 20th century: Territory - Settlement – Migrations. Ed. by Olga Glezer and Pavel Polyan. (Moscow: OGI, 2005), 493-519. West can work with this group of educated Russians. So far, there have been few efforts by the academic and analytical community to closely examine the Putin Exodus. Our small-scale research is a first step in looking at the phenomenon using sociological methods. Although a fully representative analysis of the Putin Exodus can only be produced with the help of comprehensive official demographic data, we believe that our study offers an insightful glimpse into what it is and its significance for Russia and the wider world today. 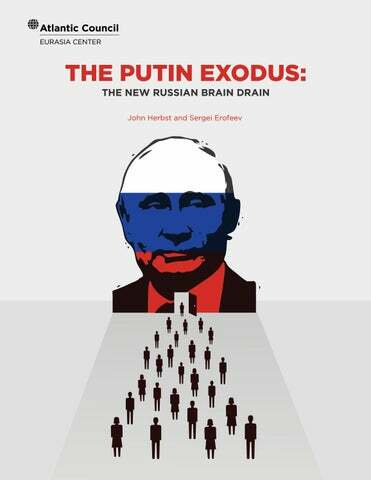 A look at past waves of Russian emigration is essential to better understand the nature and significance of the Putin Exodus since 2000. Historically speaking, being in possession of enormous natural, geographical, and human resources, Russian rulers have repeatedly tried to gain regional and world dominance. These attempts have included reforms aimed at triggering immigration rather than emigration. However, the inconsistencies of the highly centralized policies of the Russian government and its straightforwardly reactionary moves have more often served as a push rather than a pull migration factor. E.g. see the BBC and Kommersant publications: Stephen Ennis, “Russia Brain Drain After Putin Crackdown,” BBC, October 2, 2014, http://www.bbc.com/news/world-europe-29450930; “Четверть граждан задумывалась об эмиграции,” Kommersant, July 19, 2016, https://www.kommersant.ru/doc/3042053. 12	Victor Vladimirov, “Массовая эмиграция из России превысила уровень первой волны Белой эмиграции,” Echo of Russia, May 4, 2018, https://ehorussia.com/new/node/16237. 13	Carl Schreck, “Russian Asylum Applications In U.S. Hit 24-Year Record,” Radio Free Europe/Radio Liberty, May 2, 2018, https://www. rferl.org/a/russian-asylum-applications-in-u-s-hit-24-year-record/29204843.html; Aleksandr Lyapin, “Россияне ищут убежище,” Kommersant, May 3, 2018, https://www.kommersant.ru/doc/3619827. 14	Polina Zvezdina, “В РАН заявили о возросшей в два раза за три года ‘утечке мозгов’,” RBC, March 29, 2018, https://www.rbc.ru/ society/29/03/2018/5abcc9f59a7947e576977387. 15	“Эмиграционные настроения россиян—2018,” Всероссийский Центр Изучения Общественного Мнения, July 2, 2018, https://wciom.ru/ index.php?id=236&uid=9187. 16	Rainer Strack et al., “Russia Faces a Talent Conundrum,” Boston Consulting Group (BCG), June 25, 2018, https://www.bcg.com/ publications/2018/russia-faces-talent-conundrum-global-talent.aspx; Polina Smertina, “Российская молодежь мечтает работать за границей,” Vedomosti, June 27, 2018, https://www.vedomosti.ru/management/articles/2018/06/27/773870-molodezh-za-granitsei. 17	Zhanna Nemtsova, “Young, Liberal and Russian,” The New York Times, September 23, 2018, https://www.nytimes.com/2018/09/23/ opinion/young-liberal-russian.html. 18	Among the many Facebook groups, one of the most active is titled ‘Time to Shove Off’. «Пора валить—всё про эмиграцию,» Facebook, https://www.facebook.com/groups/poravalit/. 19	One commonly referred to historical phenomenon causing such early outflows is the Old Believer Schism. themes up to the collapse of the Soviet Union in 1991. Historically, these factors played a decisive role in creating the conditions of no return and, for most groups with the exception of some public intellectuals as political dissidents of the 1960–1980s, loss of interest in the country of exodus. In terms of building cohesive cultural diasporas abroad, for most Russian immigrants in Western countries20— apart from old believers before the end of the nineteenth century and some of the Jews leaving for Israel and the United States toward the end of the twentieth century—the sense of original cultural unity and identity was lost. This happened during the process of adaptation to a new life in complex open and pluralistic societies, which became a part of the general modernization process Russians underwent alongside Westerners. 20	The “White” Russians going to the Far East after the Bolshevik revolution eventually also landed in Western democracies. abroad in the case of religious people and that with German culture in the case of agricultural workers.22 Although they had already played a role for both Jewish emigrations that took place before the 1990s, economic factors largely replaced political ones immediately after the collapse of the Soviet Union. They became the main cause of emigration. What brought economic motivation to the foreground was Russia’s painful transition to democracy and a market economy, which equally hurt all ethnocultural groups in the country. 21	While testifying to a certain strength of the Russian identity and active cultural and intellectual community life, the popular example of the “Whites” in Paris in the period between the two world wars obviously doesn’t meet the “motherland connection” criterion due to the political rupture. 22	Many of the Russian ethnic Germans emigrating within the German repatriation program, mainly in the early 1990s, were actually Soviet collective farmers or factory workers with strong family memories of pre-collectivization life in the country. Unlike in the past, contemporary Russian rulers have at their disposal neither a growing population nor upto-date technological means for achieving lasting success in economic and geopolitical competition. And as regards cementing and mobilizing society, the Kremlin no longer has an ideological vision of a future for the country. At the same time, as the emigration processes developed after the late 1990s, one can see how the general picture became more complex. In addition to the cultural-ethnic pull, which never went away completely, and economic distress or interest, new political overtones began to gain weight. After the Khodorkovsky case in 2003–04, the difficulties of pursuing economic success at home became more often associated with politically grounded corruption. At the same time, growing economic globalization provided new opportunities abroad for educated Russians with technological and entrepreneurial skills. Thus, not only the traditional destinations of the United States, Germany, or Israel were considered, but many other countries also landed on the map for Russian emigration in recent years. New émigrés have found their new homes where education, creativity, and entrepreneurship are actively at play, from Spain to Thailand and from the Baltic states to Turkey. ideological animosity and repression played the major roles. The context now has more to do with crony capitalism exploiting the country’s natural resources and not caring about retaining the human capital, although the diminution of freedom also plays a role. Unlike in the past, contemporary Russian rulers have at their disposal neither a growing population nor up-to-date technological means for achieving lasting success in economic and geopolitical competition. And as regards cementing and mobilizing society, the Kremlin no longer has an ideological vision of a future for the country. This remarkable historical difference affects the analytical perspective on the relations between the Russian state and the Russian society today. Current media and analytical accounts The growth of the public discourse As Table 1 shows, the Putin Exodus is especially diverse in terms of emigration drivers and destination countries. There are certain new social, economic, and political conditions that lead to this diversity, including greater financial security, wider awareness of professional and personal opportunities through education and languages acquisition, and improved freedom of movement, both inside and outside the Russian Federation. What makes the Exodus even more special is that the new émigrés, who unlike the Soviet ones are not banished from Russia completely and forever, demonstrate connectedness with the country of exodus. Even more than traveling back and forth, the use of new communication tools helps the émigrés remain connected to their families and friends left in Russia. At the same time, as observed through both conventional and new media, the Putin Exodus members since 2012 seem to have a stronger connection to Russia than their earlier counterparts. While this could be partly explained by the shorter time distance since emigration, other factors are also likely at play. Historically speaking, is the current outflow just another drain of Russia’s seemingly infinite resources? Could it be true that, similar to the flight of the Jews in 1881–1914 or the White emigration in 1918–1922, the Putin Exodus cannot radically change the country’s status as a world power? The historical facts are that Russia today cannot demonstrate anything like its preWorld War I economic achievement or the ideological power of the Soviet state. As we know, the Jewish and White emigration waves reduced the talent available for the cultural and economic development of the nation. Under the ruthless leadership of first Lenin and then Stalin, the Soviets tried to make up for this by the harsh mobilization of the population in the first Five Year plans and the great collectivization process. While those measures produced fast industrialization, the human costs were substantial and often, like in the case of Holodomor in Ukraine, inhumane. regarding the new emigration. Its configuration is much more complex and calls for greater scrutiny. In contrast to the fourth and fifth waves, and in partial resemblance to the flight of noble, rich, and intellectual Russians in the times of the Bolshevik revolution, the most recent emigration is often portrayed as being politically rather than economically driven, as a result of growing authoritarianism in Russia. For example, Leonid Bershidsky, a former editor of the Moscow business newspaper Vedomosti and now a Bloomberg journalist, talks about an “emigration of disappointment.”23 Referring to asylum-seeking in the United States, Lev Gudkov, the director of the Levada Center, lists its causes, which include “the intensification of the domestic repressive policy.”24 The émigré-popular Russian online news agency Meduza has conducted some interviews reflecting the strong sense of danger among some Russians who have recently left the country.25 Such accounts in both Western and the Russian independent press are plentiful. The limits of analysis Despite the widening discussion, there is not yet any indepth study of today’s Russian emigration that would help observers understand its nature and reveal its implications—both for Russia’s development and in order to adjust the policymaking framework in the West. To answer questions like whether this emigration weakens Russia or whether it can possibly play an active role in shaping the country’s future, one should look at both the external comparative historical contexts of economy and ideology and the internal characteristics of the current Exodus. 23	Natalia Frolova, “Пятая Волна Отъезда: Разочарованные,” The New Times, December 3, 2018, https://newtimes.ru/articles/ detail/152010. 24	Viktor Vladimirov, «Лев Гудков: новая волна российской эмиграции связана с ужесточением внутренней ситуации в стране,» Voice of America, August 15, 2017, https://www.golos-ameriki.ru/a/lev-gudkov-on-russian-brain-drain/3980619.html. 25	Meduza’s popularity is confirmed by our research, as is shown in the next chapter. Anna Rodina,“«Попросить убежище? Но от чего?» Как живут россияне, которые уехали в США по туристической или студенческой визе—и решили остаться,” Meduza, November 19, 2017, https://meduza.io/feature/2017/11/19/poprosit-ubezhische-no-ot-chego. 26	“Как уехать жить за границу,” Форум Винского, accessed January 5, 2019, http://forum.awd.ru/viewforum.php?f=76. 27	“Русская эмиграция,” Facebook, accessed January 5, 2019, https://www.facebook.com/groups/alltourists/. 28	Русская Америка, «Интервью с владельцем ресурса Пора Валить Ян из Франции,» YouTube, April 3, 2018, https://www.youtube.com/ watch?v=z8PmVc9IAE0; Seth Mydans, «Putin›s Eye for Power Leads Some in Russia to Ponder Life Abroad,» The New York Times, October 1, 2011, https://www.nytimes.com/2011/10/02/world/europe/putins-eye-for-power-leads-some-in-russia-to-ponder-life-abroad. html. 29	Neil Macfarquhar, “Yevgeny Prigozhin, Russian Oligarch Indicted by U.S., Is Known as ‘Putin’s Cook’,” The New York Times, February 16, 2018, https://www.nytimes.com/2018/02/16/world/europe/prigozhin-russia-indictment-mueller.html. While emigration is not new to Russia, those who have been emigrating since Putin’s return seem to be Russia’s most educated, active, and independent, coming from the middle and upper middle classes. Ryazantsev.33 Both this group of Russian scholars and their American colleagues have also paid attention to the new destination of Southeast Asia and to how the new emigration can be more entrepreneurial than academic.34 Importantly, a few more general reports on the subject of the new Russian emigration have been produced by various analytical centers since 2012 including the much quoted Stratfor publication.35 Together with conventional media coverage and social media testimonies, they contribute to the development of a new discourse on Russian emigration. Typically, the reports point out that, while emigration is not new to Russia, those who have been emigrating since Putin’s return seem to be Russia’s most educated, active, and independent, coming from the middle and upper-middle classes.36 Regarding the details and dynamics of the Putin Exodus, some new analyses have recently become available. They are usually based on (1) statistics from Russia and destination countries, (2) interviews with those who now live abroad, (3) surveys of Russian immigrants in Western countries, and (4) studies of attitudes toward emigration among Russians in Russia. However, a number of problems arise here. First, official Russian RosStat statistics are extremely limited as citizens may leave the country without informing state agencies of their departure. This is further distorted by a reform of migration registration since 2012, not distinguishing between the outflows of Russian citizens and those of immigrants, mostly from Central Asia, who are returning to their home countries from Russia.37 This distortion can only be partially remedied by immigration statistics on the receiving end, which in any case requires a lot of work and coordination around the globe to make sense of the overall numbers of Russian émigrés. 30	James R. Millar, Politics, Work, and Daily Life in the USSR. A Survey of Former Soviet Citizens. (Cambridge: Cambridge University Press, 1988). 31	For a cultural mapping of the contemporary diaspora see: Kevin M.F. Platt, Global Russian Cultures. (Madison: University of Wisconsin Press, 2018). 32	See the Institut français des relations internationales (IFRI) publication: Mikhail Suslov, “‘Russian World’: Russia’s Policy towards its Diaspora,” Notes de I’Ifri Russie.Nei.Visions, July 2017, https://www.ifri.org/sites/default/files/atoms/files/suslov_russian_world_2017.pdf. 33	Sergei Ryazantsev and Evgenia Pismennaya, “Эмиграция Ученых из России: “Циркуляция” или “Утечка” Умов,” Sotsiologicheskiye Issledovaniya 4, (2013): 24-35, https://dlib.eastview.com/browse/doc/29875823. 34	Harley Balzer and Maria Repnikova, “Migration Between China and Russia,” Post-Soviet Affairs 26, no. 1 (2010): 1-37; Sergei Ryazantsev et al., “’Asian Vector’ in Russia’s Migration Policy: The Potential of Vietnamese Migration for the Socio-Economic Development of Russia,” International Trends 2, no. 3, (2016): 14-22, http://intertrends.ru/system/Doc/ArticlePdf/1700/3uIGBSAY16.pdf. 35	“The Problem With Russia’s Best and Brightest,” Stratfor, June 29, 2016, https://worldview.stratfor.com/article/problem-russias-bestand-brightest. 36	Khristina Narizhnaya, “Russians Go West,” World Policy Journal 30, no. 1, (2013), http://www.worldpolicy.org/journal/spring2013/ russians-go-west. 37	Although a few scholars have tried to address this problem, it is usually ignored by both western commentators including Stratfor and those in Russia like the group led by Ryazantsev. Second, over the last half decade, there have been only a few studies based on talking to the new émigrés themselves. One of them was conducted in 2014 by the New York-based Institute of Modern Russia (IMR).38 After a series of interviews with well-known Russians living abroad, this predominantly journalistic study concludes that “it is highly educated and entrepreneurially inclined people who are leaving Russia” and that “the current regime is not interested in the country’s long-term development” as it is pushing critically-minded people out, “leaving behind those who are more likely to be successfully brainwashed and whose critical faculty atrophies a bit more every time they watch Russian state TV.” This study’s report also states that “today’s contingent of Russian emigrants contrasts starkly to those of previous post-Soviet emigration waves.” However, this study’s scale, methodology, and limited objectives do not allow one to make much sense of the émigrés as a population to understand their personal and economic lives, political views, and connectedness to Russia. Russian-speakers who live in Germany and emigrated before 2009.41 Despite the valuable addition of questions about media consumption, including Russian news, this survey largely looks at potential voting behavior in relation to issues within Germany and the EU, rather than to those of Russia, Russia-West relations, or to emigration as such. One more survey has been conducted by the Londonbased Russian community magazine Zima (“Winter”), which also deals with Russian-speakers from the former Soviet Union.43 Its characteristic feature is the distinction between “high net worth individuals” and “professionals” (100 respondents in each group), profiling the groups’ age, time lived in the UK, education, income/occupation, change in the quality of life, and a hierarchy of negative aspects of their life in Britain. The survey also covers preferences in communication (with either Russians or “locals”), leisure time, and news consumption. 38	Institute of Modern Russia is sponsored by a son of the ex-oligarch Mikhail Khodorkovsky. Ksenia Semenova, “A New Wave of Emigration: The Best Are Leaving Part 2,” Institute of Modern Russia, April 23, 2015. https://imrussia.org/en/analysis/nation/2238-anew-wave-of-emigration-the-best-are-leaving-part-2. 39	Nikita Mkrtchyan and Yulia Florinskaya, “Международная миграция в России: квалифицированная составляющая¸” Russian Presidential Academy of National Economy and Public Administration under the President of the Russian Federation (RANEPA), Moscow, 2018, ftp://w82.ranepa.ru/rnp/wpaper/021809.PDF. 40	“Russia’s Brain Drain on the Rise Over Economic Woes – Report,” The Moscow Times, January 24, 2018, https://themoscowtimes.com/ news/russias-brain-drain-on-the-rise-over-economic-woes-report-60263. 41	Boris Nemtsov Foundation, “Russians in Germany,” (Berlin: Friedrich-Naumann-Stiftung für die Freiheit, 2016), https://www.freiheit.org/ sites/default/files/uploads/2016/10/10/boris-nemtsov-foundationrussiansingermanyprint.pdf. 42	Tatiana Golova, “Social Media Networks of the Post-Soviet Minority in Germany.” Zentrum Für Osteuropa-und Internationale Studien (ZOIS), July 11, 2018, https://en.zois-berlin.de/publications/zois-spotlight/social-media-networks-of-the-post-soviet-minority-ingermany/. 43	“Русскоязычные в Британии. Кто они и сколько их? Исследование ZIMA,” ZIMA Magazine, December 2, 2017, https://zimamagazine. com/2017/10/russian-speaking-in-britain/. POPULATION LEFT RUSSIA UNDER PUTIN’S WATCH. THIS TREND HAS INTENSIFIED SINCE PUTIN ASSUMED HIS THIRD TERM IN OFFICE IN 2012, AT WHICH POINT ANNUAL EMIGRATION STARTED TO EXCEED ITS HIGHEST LEVELS SINCE THE EARLY 2000S. WHILE THE EMIGRATION OF THE 1990S WAS DRIVEN BY ECONOMIC FRUSTRATION, THE REASONS FOR THE PUTIN EXODUS APPEAR TO BE MORE COMPLEX. YET, IT IS GENERALLY CAUSED BY AN INCREASINGLY REPRESSIVE AND INFLEXIBLE POLITICAL AND ECONOMIC SYSTEM THAT STIFLES FREE EXPRESSION, ENTREPRENEURSHIP AND LIMITS OPPORTUNITIES FOR THE NEW GENERATIONS. of the new Russian emigration. A simple overview of online sources could lay the foundations of innovative sociological studies of its cultural and political aspects ranging from Kremlin’s manipulations of the diaspora and manifestations of Russian imperialism among immigrants in California45 to Russians abroad trying to counter Kremlin’s subversive activities.46 Analyzing such online information could lead to a critical evaluation of diverging claims like “fifty percent of Russians in the UK are spies”47 or “Russians are ‘norm’” meaning “normal” in the sense “better than expected.”48 For the purposes of understanding the Putin Exodus, it would also be useful to utilize data regularly produced by the main Russian pollsters asking those who live in Russia about their attitudes toward emigration. For example, alongside studying attitudes toward domestic problems and foreign relations, the only independent Russian national pollster, the Levada Center, has followed a popular interest in emigration, especially among the young and better educated.49 At the same time, in July 2017, the Kremlin-controlled VTsIOM reported that Russians now “dream about the high standard of living abroad much less, while factors like social stability, climate and environment, the level of culture, observation of human rights, etc., are valued much more than before. Also, among the reasons to leave, the dissatisfaction with the policies of the authorities… is now mentioned more often.”50 These are all reasons that an innovative, systematic, and comprehensive sociological study of Putin Exodus members should yield rich results of great significance for various stakeholders—from social scholars to Russian political elite and oppositionists, to US and international decisionmakers, to émigrés themselves. 44	Committee of Civil Initiatives is sponsored by the former Russian vice premier and finance minister Alexei Kudrin. Olga Vorobieva and Aleksandr Grebenyuk, Эмиграция из России в конце ХХ – начале ХХI века, Committee of Civil Initiatives, October 6, 2016, https://komitetgi.ru/analytics/2977/. 45	“Why Does Kremlin Need Militarized Troops in the US,” Slavic Sacramento | Slavic News in California, July 20, 2018, https://www. slavicsac.com/2017/09/01/kremlin-need-militarized-troops-u-s/. 46	“Русскоязычные американцы просят Трампа ужесточить санкций против РФ,» Slavic Sacramento | Slavic News in California, April 10, 2018, https://www.slavicsac.com/2018/04/09/russian-americans-more-sanctions/. 47	Christopher Hope, “Half of the Russians in London Are Spies, Claims New Report,” The Telegraph, November 5, 2018, https://www. telegraph.co.uk/politics/2018/11/05/half-russians-london-spies-claims-new-report/. 48	The project initiated by the head of the media project The Bell, a former Vedomosti and RBC editor-in-chief Elizaveta Osetinskaya uses this Russian new slang word. The Bell, “Русские норм!” YouTube, https://www.youtube.com/channel/UCo3S9OQDrM79i7yPmixnSsQ. 49	«Эмиграционные настроения,» Levada Center, June 19, 2017, https://www.levada.ru/2017/06/19/emigratsionnye-nastroeniya-2/. A new publication by Roman Badanin’s “Project” takes into account Levada’s findings. The article entitled “The other Russian World” does not reflect an original sociological study and repeats some faults of earlier overviews. However, on a journalistic level, it highlights, stronger than anything before, some important points about the scale and aspects of the new emigration. Sofya Savina, “Иной русский мир. Исследование о том, сколько россиян уезжают из страны,” Proekt, January 16, 2019, https://www.proekt.media/research/statistikaemigration/. 50	«Эмиграционные настроения россиян—2017,» Всероссийский Центр Изучения Общественного Мнения, July 4, 2017, https://wciom.ru/ index.php?id=236&uid=116299. 51	The snowball sampling is a non-random sampling technique in which respondents are approached through their social network contact or suggest other individuals for inclusion in the study if they meet the eligibility criteria. This method is often utilized by investigators in studies when the population is unknown, and therefore the sample selection is difficult to achieve. “Frequently Asked Questions and Vignettes,” National Science Foundation—Where Science Begins, https://www.nsf.gov/bfa/dias/policy/hsfaqs.jsp#snow. 52	Douglas D. Heckathorn, “Respondent Driven Sampling: A New Approach to the Study of Hidden Populations,” Social Problems 44, no. 2, (1997): 174-199. 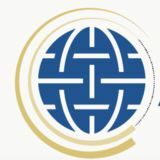 TO IDENTIFY PUSH AND PULL FACTORS DRIVING MODERN RUSSIAN EMIGRATION, THE ATLANTIC COUNCIL’S EURASIA CENTER CONDUCTED AN ORIGINAL SURVEY AND FOCUS GROUPS IN FOUR KEY NEW EMIGRATION LOCATIONS IN THE US AND EUROPE. PEOPLE WHO HAVE LEFT RUSSIA SINCE 2000 AND LIVE IN THE SAN FRANCISCO BAY AREA, NEW YORK METROPOLITAN AREA, GREATER LONDON, AND BERLIN/BRANDENBURG. 400 PEOPLE (100 IN EACH LOCATION). ONLINE SURVEYS CONSISTING OF 100 QUESTIONS AND FOCUS GROUPS. COMBINATION OF “SNOWBALL SAMPLING” AND OPEN RECRUITMENT PRIMARILY THROUGH FACEBOOK GROUPS. NOVEMBER 2017 – MARCH 2018.
populations. The team selected their participants from survey respondents who expressed interest in taking part in a focus group discussion. Based on demographic characteristics, occupation, migration history, and the political views of the respondents, we selected a balanced and diverse group of eight people in the San Francisco Bay Area and Berlin and seven people in Greater London and New York City.53 During the convenings, which were held in Russian, participants shared their immigration experiences and thoughts about the political and economic situation in Russia as well as the characteristics of the new Russian emigration. Rich in information, the focus groups provided a wealth of data for qualitative analysis and led to more ideas and themes for further exploration. We recognize that the sample of 400 respondents is not fully representative of the entire Russian diaspora and the findings presented in this paper might not apply to the totality of the post-2000 â&#x20AC;&#x153;brain drainâ&#x20AC;? segment. However, this study gives a more comprehensive and indepth understanding of the new immigrantsâ&#x20AC;&#x2122; motivations for leaving, and their views on the future of Russia. More important, this study identifies the difference between the emigration waves of the early 2000s compared to those that occurred post-2012, and serves as a starting point for a further exploration of the Putin Exodus. 53	The selection was based on a preliminary survey answers analysis to avoid group bias. The New Russian Emigration to the United States and Europe: Main Findings The data obtained through surveys and focus groups (FGs) of members of the Putin Exodus indicates a distinct culture conditioned by the émigrés’ education, entrepreneurship, and overall emigration situation in Russia during the Putin era. As perceived by the project informants, compared to their predecessors, they are more interested in politics, both Russian and Western, and their mindsets and lives are more multifaceted. In comparisons of the new diasporas across the four locations in the United States, United Kingdom, and Germany, the reasons for emigrating, political leanings, ways of adapting to a new life, and other characteristics prove to be remarkably similar. At the same time, there is an important divide within the Putin Exodus: between the émigrés who left in 2000–2011 (marked Cohort A) and those who emigrated from 2012 on (Cohort B). Professional and educational “pull factors” have given way to “push factors,” like the discomfort of living in a country that limits political activity, human rights, and other freedoms. which potential émigrés belong and regions and where they live is widening. 57	E.g. earning enough to cover basic expenses and discretionary items, such as vacation, entertainment, etc. 58	According to our survey, 17 percent of the respondents were students right before they left Russia. The top occupational areas in Russia among the respondents include: junior and mid-level managers (16 percent); IT and software engineering (10 percent); art, culture, and media professionals (6 percent); education, research, and postdoc (5 percent); analytics, finance, and accounting (5 percent); lawyers and other legal occupations (5 percent); journalists (4 percent). 59	The exception in our sample is Germany, where dual citizenship is significantly restricted. 60	54 percent of respondents say that the economic situation in Russia will become worse in the near future. and homophobia. The FGs revealed that sociocultural concerns often led to heightened political awareness, sparked by events such as the protests against the democracy crackdown that occurred after Putin’s return as president in 2012, the aggression against Ukraine, or the assassination of opposition leader Boris Nemtsov. 61	It is agreed by FGs participants that the standard of living is still higher in Russia than fifteen years ago, so it is not the main discontent. and have developed critical ideas about freedom and justice departing from questions of values and culture. POLITICAL PROFILE OF RESPONDENTS THE NEW WAVE OF RUSSIAN EMIGRATION IS INCREASINGLY POLITICIZED: 55% OF THE RESPONDENTS HAVE A GREAT DEAL OR A FAIR AMOUNT OF INTEREST IN POLITICS. American, British, or German political spectrum. Ten percent said that they are conservative or very conservative, 23 percent are moderate, and 45 percent are liberal or very liberal. While the earlier Russian immigrants were generally more conservative and supportive of, for example, US Republicans, the Putin Exodus representatives are predominantly negative toward the politics of President Donald Trump or Brexit, and positive toward the politics of Chancellor Angela Merkel. DID YOU EARN ENOUGH TO ‘LIVE COMFORTABLY’ IN RUSSIA TO COVER BASIC EXPENSES AND DISCRETIONARY ITEMS, SUCH AS VACATION, ENTERTAINMENT, ETC.? The new country’s television as a main information source is much less popular (28 percent) and Russian television is preferred by just 12 percent of the respondents. The latter may lead to explaining how the Putin Exodus can be less susceptible to the Kremlin’s propaganda compared to the previous wave. When asked about preferred sources for Russian news, 84 percent stated they accessed Russian sources online, and only 49 percent mentioned non-Russian ones. As of spring 2018, the most popular news outlet was the online magazine Meduza (56 percent), followed by Rain TV (34 percent) and the radio station Echo of Moscow (32 percent). The popularity of Meduza, an independent online newspaper in the Russian language based in Latvia, is an indicator of a higher level of trust toward a recently established liberal media outlet in exile. migration in general. In particular, their preference for personal development over social links with other immigrants was highlighted by FG members: “The highbrow migrants want to be Russians as little as possible…to become international.” It was also noted that “when we spend more time with Russians here, one can feel that it is a different Russianness than in Russia.” This was interpreted by some as a desire “to get rid of the Russia trauma”: breaking away from traditionalist, restrictive, and unfree social webs. In the survey, this sentiment was particularly reflected by the overwhelming enthusiasm toward Western cultural and political values, from support for entrepreneurship to balance of powers, and from LGBT rights to the defense of various freedoms. Discussing Russia and Russian news for the new diaspora first of all means talking in person to friends or family outside Russia (62 percent); second is calling and messaging with friends and family in Russia (as many as 40 percent). Discussing Russian news during visits to Russia stands at 34 percent; also popular is the practice of talking to colleagues who may not be Russian about Russian news and current events (30 percent). Only 14 percent do not talk about Russian news with anyone. This appears to be radically different from the communication situation of the pre-2000 émigrés perceived by our FG participants as much less interested in the Russian affairs. PUTIN’S 2012 RETURN TO PRESIDENCY DO YOU THINK THAT RUSSIA IS BETTER OR WORSE OFF SINCE PUTIN’S 2012 PRESIDENCY? services, while in New York it revolved around Putinism and problems of the rule of law in Russia. Londoners were keener to discuss practical problems in a similar way to Bay Area inhabitants, and Berliners were more concerned with the complexity of the diaspora and the presence of Chechens from the Russian Caucasus as a source of crime. DO YOU THINK THAT THE PUTIN ADMINISTRATION CARES MOSTLY ABOUT ITS OWN INTERESTS OR MOSTLY ABOUT THE INTERESTS OF ORDINARY RUSSIANS? I STRONGLY BELIEVE THAT THE PUTIN ADMINISTRATION CARES MOSTLY ABOUT ITS OWN INTERESTS. I STRONGLY BELIEVE THAT THE PUTIN ADMINISTRATION CARES MOSTLY ABOUT THE INTERESTS OF ORDINARY RUSSIANS. THE INTERESTS OF ORDINARY RUSSIANS. DO YOU THINK THE RUSSIAN ECONOMY WILL GET BETTER, WORSE, OR STAY THE SAME IN THE COMING YEARS? emigrating, the more negative you are to what is going on in Russia.” Because of the age factor, this may imply potentially stronger durability of anti-Putinism or anti-authoritarianism among those who left the country recently. The survey also shows much criticism of Putin’s regime, knowledge of the anti-Putin “non-systemic opposition,” and significant support for the latter. This is conditioned by the fact that 89 percent of the survey respondents follow Russian news.62 Even though nearly half emigrated before 2012, 68 percent of the whole sample are aware of the relatively new phenomenon of the non-systemic opposition, with only 12 percent knowing nothing about it. As many as 72 percent approve of the non-systemic opposition represented by, above all, Alexei Navalny, who has been nationally famous as an anti-corruption activist since 2010 and recently created the only nationwide opposition network. The historically popular “systemic” liberal Yabloko party has only 37 percent approval among the groups,63 while the communists and Zhirinovsky’s LDPR, as Kremlin puppets, have negligible support. Many of the respondents’ views are consistent with the ideals of Western liberal democracy, including decentralization of power and freedom of the press. As many as 69 percent of them oppose Putin’s “power vertical” and 91 percent are critical toward the Kremlin’s control of the media. Eighty-six percent believe that the Putin administration “cares mostly about its own interests” and only 6 percent believe that it cares about the people.64 Regarding the problem of economic corruption, most respondents are convinced that having a “krysha” (state-criminal protection) is what matters most for business success in Russia. The survey shows 65 percent of émigrés thinking that Russia is worse off since Putin’s 2012 return, 81 percent looking for someone who would offer an alternative solution to Russia’s problems after the 2018 presidential election, and 69 percent optimistic about Navalny’s participation in them. The FGs repeatedly labeled Putin a “thief” and an “international criminal,” with the concern that he is perceived too positively in certain social and political circles in the West. In connection with that, 62	This is slightly higher than the proportion of those following the domestic news of their new country. 63	The data was collected before the March 2018 presidential elections, where Yabloko demonstrated an increased dependence on the Kremlin; its approval rate today is even lower. 64	Some of our survey questions were designed to repeat those of the surveys conducted by Levada Center, the relatively independent pollster in Russia. It will be interesting to follow our analysis with some comparisons of the opinions of the Russians abroad with the Levada findings. 65	The mishandling of the “Nord-Ost” theater terrorist attack by Putin was particularly mentioned by Boris Nemtsov, the assassinated opposition leader, as a turning point in his attitude toward the Kremlin’s internal politics. SUPPORT FOR THE PUTIN ADMINISTRATION VS. ANTI-PUTIN NON-SYSTEMIC OPPOSITION HOW LIKELY WOULD YOU BE TO PARTICIPATE IN AN ACTIVITY IN SUPPORT OF THE PUTIN ADMINISTRATION/A RUSSIAN OPPOSITIONAL FORCE? HOW LIKELY WOULD YOU BE TO DEMONSTRATE YOUR SUPPORT FOR THE PUTIN ADMINISTRATION/ A RUSSIAN OPPOSITIONAL FORCE TO YOUR FAMILY AND/OR FRIENDS? HOW LIKELY WOULD YOU BE TO OPENLY PARTICIPATE IN AN OPPOSITIONAL POLITICAL CAMPAIGN? HOW LIKELY WOULD YOU BE TO DONATE TO AN OPPOSITIONAL POLITICAL CAMPAIGN? in Russia has deteriorated and that the economy will continue to decline. At the same time, more of them compared to Cohort A have plans to return to Russia should the situation change for the better. While some in Cohort B think that economic improvement in Russia may prompt their return, more think that it is political rather than economic improvement that would encourage such a decision. WHICH HISTORIC DIRECTION SHOULD RUSSIA CHOOSE? 66	This is true of the London and Berlin samples only, as the question reflecting Alexei Navalny’s idea of an election boycott was added to the questionnaire after the NYC and San Francisco Bay Area surveys had been completed. lead to things like “a real federation without blind submission to the center,” a drastic reduction in corruption in which “Russian money works inside Russia and for Russia,” or “Russia finding its optimal place in the world without confrontation and isolation but with its own voice.” Some participants think that a radical political change would be worth the country’s “ceasing to exist in its current form” when “its sheer size strips the people of the sense of responsibility.” The FGs were a helpful source of views on the Russian human capital loss. Surprisingly, some participants thought that the brain drain is overrated and that Russia will recover from the effects. At the same time, the New York and Berlin FGs somewhat doubted the quality of the “lost brains” since “many new immigrants are stupid Putinists…waving the St. George ribbon.”68 Overall, however, it was agreed that immigration to places like the San Francisco Bay Area and the loss of active entrepreneurs can be labeled a brain drain. As an important point, the FG respondents pointed out that “it is too bad that the West doesn’t care whether it gains from the Russian brain drain.” The new Russian émigrés are generally very positive about maintaining their connections with Russia, and they do care about its future. It is to be remembered that, due to their dim view of Putin’s policies, 88 percent of the respondents currently have no plans to go back to the country, with only 5 percent willing to return if the economic conditions improve while the political situation remains the same. However, 13 percent said they would consider going back to Russia following political improvements, even if the economic situation remains the same. 67	As a drastically pessimistic scenario, in October 2017, the human rights activist Pavel Chikov famously sketched out ten points regarding the new Putin’s presidential term. Pavel Chikov, “Putin’s Next Term in Office- A Short Political Forecast,” Rights in Russia, October 10, 2017, http://www.rightsinrussia.info/advisory-council/advisory-committee/chikov-25. 68	The symbol of the World War II victory hijacked by the Kremlin for the purposes of political control. 69	Gopota is a pejorative stereotype describing a particular subculture in Russia, Ukraine and other former Soviet republics to refer to young men or women of lower-class suburban areas coming from families of poor education and income. Tatyana Nikitina, Толковый Словарь Молодёжного Сленга. (Moscow: Издательство АСТ, 2007), 256. DO YOU CURRENTLY HAVE PLANS TO RETURN TO RUSSIA, OR NOT? WOULD YOU CONSIDER RETURNING TO RUSSIA IF ECONOMIC CONDITIONS IMPROVED BUT THE POLITICAL SITUATION REMAINED THE SAME? WOULD YOU CONSIDER RETURNING TO RUSSIA IF THEPOLITICAL CONDITIONS IMPROVED BUT THE ECONOMIC SITUATION REMAINED THE SAME? would call revanchism or ressentiment, a term useful for describing a post-imperial syndrome. In addition to this, the FGs demonstrated that a new type of counter-imperialist feeling projected into the future is being formed, namely “a nostalgia of a free Russia.” This feeling resonated with some respondents’ fears of a “migrant syndrome,” specifically referred to by members of the San Francisco Bay Area FG, understood as “a distortion, with time and distance, of the image of Russia to the worse.” Other major recurring themes that point to a blending of cosmopolitan personal achievement and social responsibility, including democratically-understood Russian patriotism, are those of “active position in life,” wider entrepreneurship, and understanding freedom as not being free. “We can do something to change Russia…the refrigerators [of Russian consumers] becoming empty will help to fight the Kremlin TV,” FG participants observed. “We can use our authority on social networks”; “The recent Moscow municipal elections are a positive outcome”; “Let’s support small steps to little freedoms, then expect a big one.” As a sign of proactivity, the FG participants eagerly responded to invitations to complement the discussed themes with those of their own choice. They expressed great interest in a continued conversation about their lives in the new countries, questions of citizenship, their children’s future, and integration into the new society while “remaining Russians.” Serious issues, especially for those in New York and Berlin, seem to be their lack of involvement in the political life of their new countries and the problem of “political representation, which is very poor even compared to the Ukrainians, not to mention the Chinese, and the Hispanics.” The sense of weakness of intra-Russian ties in diaspora is overrun by a desire “to matter and do more for the new country,” alongside continued support for the ideals of freedom, justice, and democracy. Discussion and Policy Recommendations In the previous section, while describing research findings, we made some suggestions as to why certain percentages come up in the survey results and what they mean for analyzing the specifics of the Putin Exodus. In addition to that, the FG participants’ perceptions are very telling to convey the difference. They confirm the surveyed population’s young age and higher qualifications compared to the previous emigration waves. Both the FGs and the survey suggest that the new émigrés demonstrate a higher degree of social criticism and a better awareness of what is going on in the global world. There is an interesting combination of new political, economic, and cultural factors highlighted by the study. On the one hand, there is a strong pushing driver of growing political repressions and fear under Putin’s regime. Some personal FG stories testify to physical and economic threats that the people saw or felt before they left Russia. There is a growing use of the refugee immigration channel since the bright and critical are unwelcomed by the Putin’s regime. more on cultural and entrepreneurial motivations rather than traditional economic or purely political ones. The ways to adapt in the new countries are also different from the previous waves. At the time around the collapse of the Soviet Union, the massive refugee and repatriation mechanisms with strong Western governmental support were at the core of adaptation. Now Russian émigrés are or have to be more entrepreneurial and individualistic. They realize that they should be open and proactive in job search or wider community life. Their life strategies in general can be seen as woven into or representative of the new patterns of postindustrial intellectual migration which is slowly changing the global society. On the other hand, the attractiveness of the destination countries is more often associated with better prospects of talent application than with improving personal economic prospects as many point out that the employment situation and financial security back in Russia was generally not a problem, “not like in the 1990s.” However, given certain individual financial security before leaving the country, it was not a dominant theme during the FGs, the fact remains that two thirds of entrepreneurs in Russia have closed their businesses since 2013 and many joined the emigration70. Even more so, the unifying positive driver for the new wave is the importance of freedom for Russians. As the data in the research findings section shows, the degree of interest of the new Russian immigrants in US, British, and German, as well as Russian, politics is quite high and going up from the first to the second cohort. Apart from being overwhelmingly anti-Putinist, as we discovered, almost three-quarters of the survey participants approve of the “non-systemic” opposition in Russia, preferring it to the “systemic” liberal Yabloko party—not to mention the Kremlin puppet parties. We cannot be sure if this takes place just because they get their news mostly from easily available “oppositionist” sources like Meduza and Rain TV. What is more likely is that there is an interplay between what they choose as news channels on the basis of their views at the moment of emigration and the current effects of such media. This, as well as continuing communication with Russians in Russia, may well facilitate their critical stance towards Putin’s Russia. In this respect, one can argue that we are dealing with a certain politicization of this population. 72	“Декларация оргкомитета Форума русскоязычных европейцев в Германии,” Snob, September 1, 2017, https://snob.ru/profile/8356/ print/128534. Speaking of Britain, it is known as a place not only for Putin’s cronies but also for his fierce opponents. But so far, this fact has less to do with the new grassroots civic engagement of the Russians in the United States and Germany. 73	In preparation of this report, although this is not included, we looked at the cases of the New York City Russian Forum for Freedom and Justice, “The Immortal Regiment” movement vis-à-vis the State of New York legislators and the “Addresses to President Trump” from opposing parts of the Russian diaspora in the United States. 74	Compared to the Russians in Russia, as reflected by the national polls conducted by Levada Center, this group stands more for decentralization of power, is more pessimistic about Russia’s situation since Putin’s return in 2012 and looks more for alternative solutions to Russia’s problems. 75	There are doubts whether Inglehart’s idea of post-materialist progress is valid in the age of new populism. However, it is useful for better sociological understanding of the Putin Exodus relative to the place of Russia in the world. smoother. This can be done even as we recognize that the Kremlin will send agents such as Maria Butina to the West as part of the diaspora. Russian immigrants should be studied on different levels and their voices should be heard regarding their lives in the new countries, as well as regarding Western and Kremlin politics. Targeted research, including that of social networks, will help distinguish behaviors instigated by the Kremlin from those that can be remedied on the basis of a fuller adoption of democratic values and a better understanding of how freedom of expression in the West works. The problem of Kremlin agents among the immigrants is a manageable one for law enforcement and intelligence officials. It should not be exaggerated or allowed in any way to complicate the smooth adjustment of the immigrants to life in the West. For the EU countries specifically, immigrant culture study and policy planning should draw attention to the anti-refugee moods of some Russians connected to the new right-wing, populism-driven weakening of democracy. As to the Russian media operating in the West, while adhering to the principle of freedom of speech, the law should be utilized to counter Kremlin propaganda. One way to do it is by labeling Russian television channels as supported by the Russian government. Certain new media actions should be actively presented to the public as harming both Russian immigrant communities and the interests of their host countries. 4. Engaging the Russian diaspora. North American and European state politicians, legislators, and wider communities should make better sense of the non-systemic opposition in Russia that is increasingly supported by the new Russian émigrés. While this opposition justifiably avoids direct material and political support from Western governmental and other organizations, it deserves their greater moral support, especially since it fights for universal progressive values in an era of “post-truth” and regressive populism. The Prague Spring idea “For our freedom and yours!” should be revisited by those who officially represent Western democracies. They should engage Russian community leaders and the diaspora media to counteract global illiberalism and cyber warfare, and discuss the future of Russia as a free, just, and prosperous nation. 76	After the 2018 presidential elections, the new economic problems, crackdown on Internet freedom, and especially the “pension reform,” demonstrate a new decline in Kremlin politics and its popularity. 5. Further steps: better understanding, more targeted actions. The results of this project, even in combination with other research, provide only a glimpse of what is critically important. A further study of the Putin Exodus supported by comprehensive official demographic data, large representative random sample-based surveys, in-depth interviews, as well as media and social networks analysis will allow researchers and analysts to fully grasp the essential aspects and prospects of the new Russian emigration. A more detailed mapping of the Exodus will help us see who exactly is influenced by Kremlin disinformation and to what political effect this influence is being used. This mapping will also facilitate engaging the Russians in the protection of democracy and stability. Finally, such an advanced study will help channel the progressive values and political zeal of the new Russian emigration to build a better post-Putin Russia. Conclusion Our study suggests that the Putin Exodus is composed of highly educated and socially aware individuals— lending support to the idea that this is in fact a “brain drain.” The study also indicates that this emigration is composed of people who identify with the values that have made the West prosper. The results suggest that so long as authoritarianism and politically connected economic privilege continue in Russia, talented people will continue to leave. The study also undermines the notion peddled by the Kremlin that Russia represents a distinct civilization with its own distinctive values, stressing communal advantage over individual liberty and well-being. In short, the study suggests that the emigration can be a bridge between the West and a Russia that is not destined to be authoritarian. The political views of this group are encouraging. So is their continued interest in Russia. Russians, not the West, will determine the future of Russia. But the values and activities of these émigrés provide reason to hope that future may be one that includes cooperation and comity between Russia and the West based upon the values that have produced extraordinary liberty, prosperity, and peace since the end of World War II. About the Authors Ambassador John Herbst is the director of the Atlantic Council’s Eurasia Center. Ambassador Herbst served for thirty-one years as a foreign service officer in the US Department of State, retiring at the rank of career-minister. He was the US ambassador to Ukraine from 2003 to 2006. Prior to his ambassadorship in Ukraine, he was the ambassador to Uzbekistan from 2000 to 2003. Ambassador Herbst previously served as US consul general in Jerusalem; principal deputy to the ambassador-at-large for the Newly Independent States; director of the Office of Independent States and Commonwealth Affairs; director of regional affairs in the Near East Bureau; and at the embassies in Tel Aviv, Moscow, and Saudi Arabia. He most recently served as director of the Center for Complex Operations at the National Defense University. He has received two Presidential Distinguished Service Awards, the Secretary of State’s Career Achievement Award, the State Department’s Distinguished Honor Award, and the Chairman of the Joint Chiefs of Staff Distinguished Civilian Service Award. Ambassador Herbst’s writings on stability operations, Central Asia, Ukraine, and Russia are widely published. Dr. Sergei Erofeev is currently a lecturer at Rutgers University in New Jersey. He has been involved in the internationalization of universities in Russia since the early 1990s. Previously, Dr. Erofeev served as a vice rector for international affairs at the Higher School of Economics in Moscow, the dean of international programs at the European University at Saint Petersburg, and the director of the Center for Sociology of Culture at Kazan Federal University in Russia. He has also been a Hubert H. Humphrey fellow at the University of Washington. Prior to his career in academia, Dr. Erofeev was a concert pianist, and has worked in the area of the sociology of the arts.